UAE Amnesty 2018 for the illegal or the overstay residents is the current hottest news and also one of the happiest and biggest news for many people. UAE aims to help the illegal residents to leave the country without having huge fines. But, many of them are confused about the UAE amnesty 2018 scheme, and many are asking how to apply for the Amnesty? Or who can apply for the Amnesty 2018? It helps the illegal or the overstay residents to protect their status by processing the expired or cancelled visa to one new one or to leave the country without having heavy fines. This will surely be a massive opportunity for thousands of people for leaving the country who are staying there illegally or for the undocumented expats to exit the country or have the chance to stay in UAE legally. 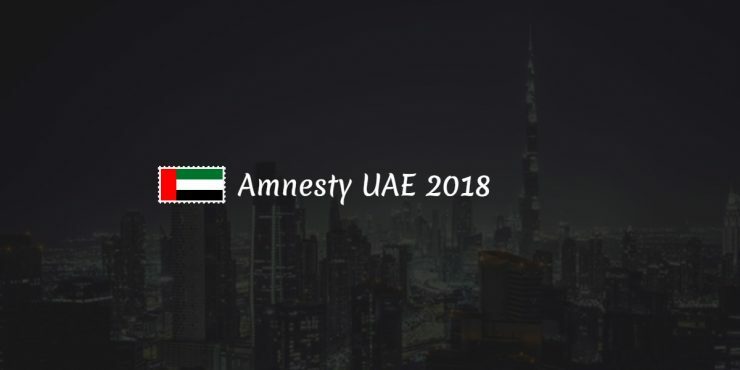 The UAE amnesty 2018 period runs from 1 August 2018 to 31 October 2018 and Centres has been set up in UAE to handle or support the overstayers who want to exit the country during the amnesty period. 2.1 Who can apply for UAE Amnesty 2018? 2.2 What is the period or duration of the amnesty? 2.3 Can people having any case apply for Amnesty? 2.4 Will, anyone, gets a permanent ban (on UAE from reentering) after availing of amnesty? 2.5 How to apply for amnesty? 2.6 What is the fee to have an exit permit? 2.7 What is the fee for modifying residency status? 2.8 What are the fees for those who want to close an absconding case? 2.9 Where are the amnesty centres in Abu Dhabi? 2.10 Where is the amnesty centre in Dubai? 2.11 Where is the amnesty centre in Ajman, Sharjah, Fujairah, Ras Al Khaimah and Umm Al Quwain? 2.12 What are the timings for the centres? 2.13 What is the time period to exit UAE after getting the exit pass? 2.14 What are the required documents? 2.15 What if I don’t have Passport? 2.16 Do they have any support number? Illegal or the overstay residents in the 7emiratessof UAE including the Abu Dhabi (AUH), Ajman (AJM), Sharjah (SHJ), Dubai (DXB), Fujairah (FUJ), Ras Al Khaimah (RAK) and the Umm Al Quwain (UAQ) can use this opportunity. The Amnesty is only for those people who are overstaying and having absconding cases will be included or covered. People having any financial cases which include any unpaid loans or bounced cheques or non-payment of credit cards, any police cases have to resolve that firstly and only after that he/she can avail the amnesty opportunity. There are 2 centres in Dubai and which are assigned to different cases. One centre is the Amer Centers, and the other one is the Al Aweer office. The Amer Centers is for people who want to stay in the UAE by legalising their residence status, like renewing their expired visa or to get a new stamped visa from the sponsor. The second centre at the Al Aweer Office is for those who want to exit the country. The centre at the Abu Dhabi is the Immigration offices at the Al Ain, Al Gharbia and Shahama. In the Ajman, Sharjah, Fujairah, Ras Al Khaimah and Umm Al Quwain, the main immigration offices are the centres. The Amnesty period starts from August 1 to October 31, 2018, and the Reception Centers are open from 8am to 8pm excluding Friday and Saturday. There will be a fee of 521 AED to Correct Residency and 221 AED to Exit the country. For individuals who want to close the absconding case have a charge of 121 AED, 71 AED for the government institutions and 521 AED for the private institutions. Those who wish to utilise this opportunity have to bring their Passport, and if they don’t have Passport, then he/she has to contact their respective country Embassies or the Consulate General offices to have the travel documents, after presenting a certificate about the loss of existing passport. Along with that, they have to bring the flight ticket to the native country, he/she have to carry the flight ticket and have to leave the country within 10 days after receiving the exit permit. Have questions or doubts? Then you can contact on 80080 for assistance. Many people are confused or have too many doubts like who are eligible, who can apply, how to apply, etc. So, here are the few frequently asked questions and hope you will get the answer to your doubts from here. You can also comment below to ask any doubts, and we will reply to your queries as soon as possible. So, now let’s check the FAQs. Anyone who is overstaying or having absconding cases can apply, or they are eligible to apply. What is the period or duration of the amnesty? The Amnesty period starts from August 1 to October 31, 2018 (3 months). Can people having any case apply for Amnesty? People having any financial cases which include any unpaid loans or bounced cheques or non-payment of credit cards, any police cases have to resolve that firstly and only after that he/she can avail the amnesty opportunity. Will, anyone, gets a permanent ban (on UAE from reentering) after availing of amnesty? No, there will be any permanent Ban and can enter late, after gaining a valid visa. Residents can approach their respective Immigration department to apply. What is the fee to have an exit permit? There will be a fee of 220 AED to get an exit permit. What is the fee for modifying residency status? 500 AED will be charged for modifying residency status. What are the fees for those who want to close an absconding case? Where are the amnesty centres in Abu Dhabi? Where is the amnesty centre in Dubai? There are 2 centres in Dubai and which are assigned to different cases. One centre is the Amer Centers, and the other one is the Al Aweer office. 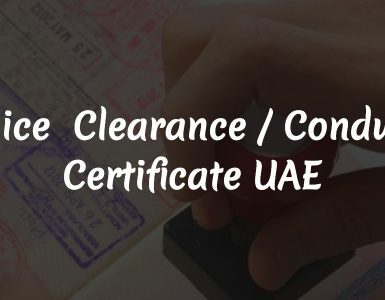 The Amer Centers is for people who want to stay in the UAE by legalising their residence status, like renewing their expired visa or to get a new stamped visa from the sponsor. The second centre at the Al Aweer Office is especially for those who want to exit the country. Where is the amnesty centre in Ajman, Sharjah, Fujairah, Ras Al Khaimah and Umm Al Quwain? In the Ajman, Sharjah, Fujairah, Ras Al Khaimah and Umm Al Quwain, the main immigration offices are the centres. What are the timings for the centres? Centres are open from 8am to 8pm excluding Friday and Saturday. What is the time period to exit UAE after getting the exit pass? Have to exit the country within 10 days after receiving exit pass. What if I don’t have Passport? If they don’t have Passport, then he/she has to contact their respective country Embassies or the Consulate General offices to have the travel documents, after presenting a certificate about the loss of existing passport. Do they have any support number? Have questions or doubts? Then you can contact on 80080 for assistance. Hope you got all answer for your doubts. If you still have any doubts or queries then, feel free to comment below, and we will reply soon. You can also check the UAE government official site or can watch the below-attached video to know more details.